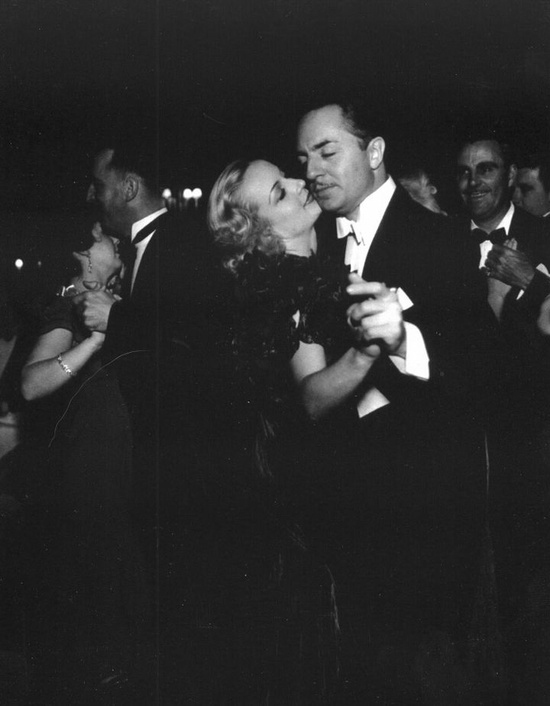 The source of this photo of William Powell and Carole Lombard dancing at Ciro’s says that it was taken in 1940, which would have been seven years after Powell and Lombard divorced and a year or so into her marriage to Clark Gable. She died two years later in a plane crash. Even though they had both moved on and were happily married to others, this picture seems to show that they really the best of friends as has been reported. Their relationship after their divorce was very strange and interesting. The papers weren’t even dry and they were carrying on around town for a while. After they moved on, they were very good and caring to each other.